After a painfully long off-season filled with too many rumors and rampant speculation, Yankee pitchers and catchers officially report to training camp in Tampa, FL today to begin preparations for the upcoming season. Granted, many of the Yankee players are already in Tampa, working out informally, but Spring Training officially gets underway today with the first scheduled workout for pitchers and catchers tomorrow. Meanwhile, position players can spend Valentine’s Day with their loved ones although many, like Aaron Judge, Troy Tulowitzki, Didi Gregorius, Clint Frazier and others, are already in camp in advance of Monday’s reporting date. The first full team workout will be next Tuesday. I really thought there would be movement with Manny Machado and Bryce Harper this week. Of course, I’ve been thinking that every week since the start of the new year. At this point, I don’t really know when they’ll sign. I still think they’ll be in some team’s camp, either in Florida or Arizona, before Opening Day but who knows. I feel so bad for the other guys. The free agents not named Machado or Harper. So many guys who can make a difference on a Major League roster, like Marwin Gonzalez, Dallas Keuchel and Craig Kimbrel, and they can’t find work. Clearly something has to change. For the Yankees, they appear to have the guys who will compete for the Opening Day roster barring any last-minute additions. Even if the Yankees didn’t sign Machado or Harper, they’ve been one of the more active teams this off-season. The biggest battle to watch this Spring is the first base competition between Luke Voit and Greg Bird. By the way, Happy Birthday to Luke! He is 28 years old today. DJ LeMahieu will apparently also see time at first in his role as the utility player for the team (which makes no sense to me). I’d like to see Voit win the job outright, continuing his late season run from last year. I like his energy and excitement. It’s infectious and spreads to his teammates. I would love to see Greg Bird hit the way we know he can but, like many people, I am tired of waiting. My guess is Bird goes to Scranton/Wilkes-Barre to find himself if Voit wins the job. Bird’s sweet left-handed swing would look beautiful in Yankee Stadium but I am losing confidence we’ll ever see it consistently. For as much as I want Voit to win the job, I wouldn’t be disappointed if Bird killed it this Spring to reclaim the position for himself. That would be a great problem to have. I just can’t wrap my head around the thought that Troy Tulowitzki is the starting shortstop. In my mind, he’s done. If he shows anything in camp, great, but realistically, I am not expecting anything from him. Team defense, in my opinion, is better served with Gleyber Torres at short and DJ LeMahieu, and his gold glove, at second until Didi Gregorius returns later this summer. Tulo is such a Wild Card at the moment. He could make the Opening Day roster and be the starting shortstop or he could by cut by the end of March when the team identifies its best 25 players. Honestly, neither would surprise me. But I think LeMahieu is the better player at this point and the Yankees have a greater investment in him. I find it very hard to believe that LeMahieu is simply the new Ronald Torreyes. He is better and deserves better. 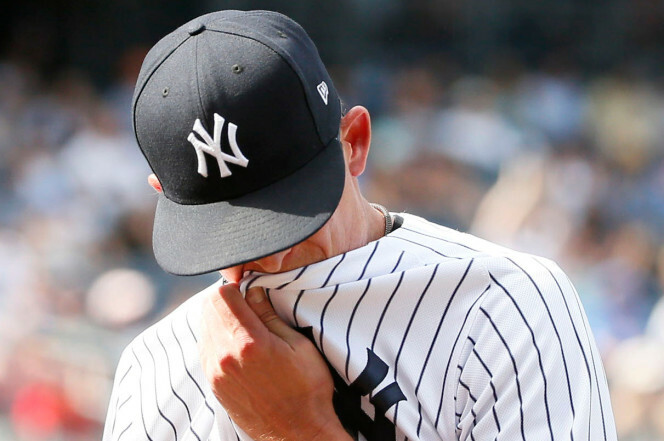 Out in left field, dependence on Brett Gardner as the starter is flawed logic. A fourth outfielder at best at this stage of his career, it would be better for Clint Frazier to win the job (unlikely) or put Giancarlo Stanton in left more often which is always a risk since he carried the injury-risk label until his monster 2017 season when he won the NL MVP Award for the Miami Marlins. DH is the best way to keep Stanton healthy and hitting the way he did during his MVP year. Jacoby Ellsbury, if healthy, looms as a threat to take a roster spot away from Frazier for Opening Day. 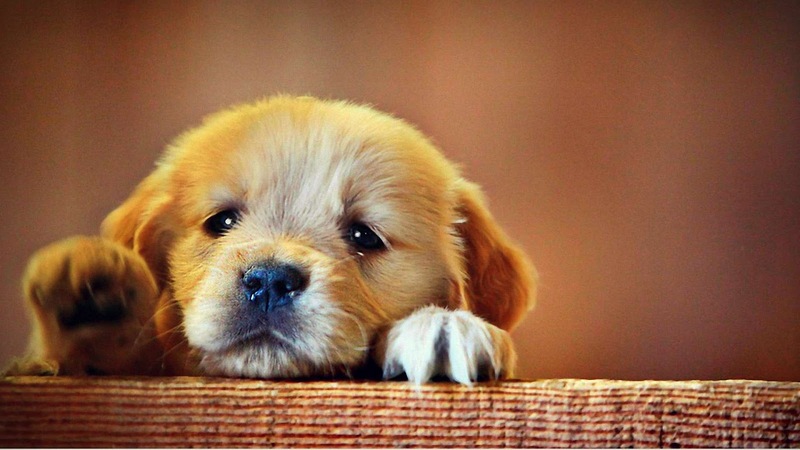 I anxiously look forward to the day when Ellsbury and the Yankees part ways. While I don’t expect him on the field Opening Day, the possibility exists he is there if healthy. The problem with Ellsbury is even if he is healthy, it won’t stay that way. The King of the DL will become the King of the new IL (“Injured List”). Let those insurance checks keep rolling in for Team Hal. The only other real competition will be the last spots in the bullpen. Tommy Kahnle is expected to take one of the jobs, assuming he can pitch like he did in 2017. I really hope that the last man in the pen is not Luis Cessa. That’s another guy I’d like to see leave. I would prefer the last spot go to either Domingo German or Jonathan Loaisiga as the swing man/spot starter assuming the Yankees do not bring anyone else into Camp. Let German and Lasagna duke it out in the Spring with the best arm heading north to the Bronx in late March. Danny Farquhar probably looms as a sentimental favorite for many after last year’s brain hemorrhage. If Kahnle fails to win a job and Farquhar proves he should be one of the bullpen finalists, I’d like to see him get it. It’s an exciting time in the Yankees Universe. We have one of the best teams in Baseball right now. If this team can perform to its expectations, we should be watching Yankees baseball deep into October. Hopefully, this season will not see the Boston Red Sox spilling champagne on Yankee Stadium soil. It would be much better for the Yankees to return the favor with celebrations at Fenway Park while sounds of New York, New York reverberate through its halls. I know, it would be better for the Yankees to celebrate at home, in front of Yankee fans, but there’s a part of me that wants to see the Yankees in googles and bubbly in the very heart of the Red Sox Nation. 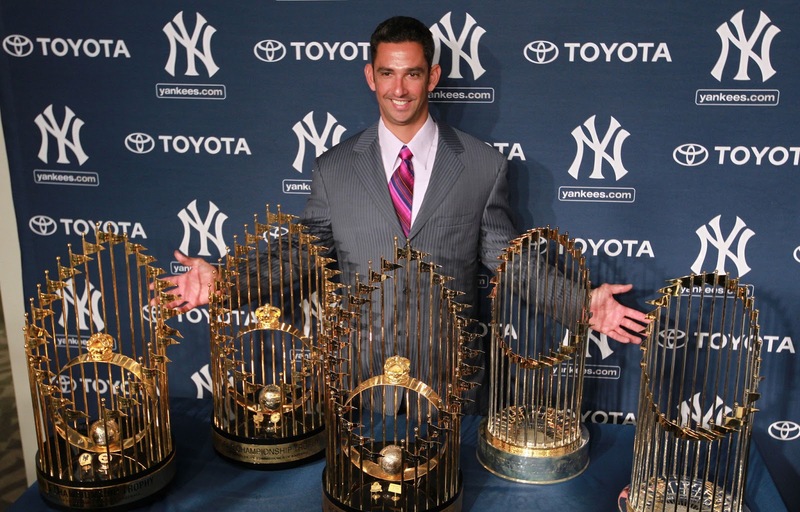 I was a little disappointed to see Jorge Posada is joining the Miami Marlins organization as a special adviser. I know, it was destined to be considering Jorge’s close relationship with Marlins CEO Derek Jeter but it’s still tough now that it is actually happening. It’s difficult to watch 50% of the Core Four representing another MLB organization. Plus, a third Yankees retired number currently manages the team. I guess we should be thankful the Marlins are in the National League so the Yankees do not play them very often. Credit to Alex Rodriguez for maintaining his alliance with the Yankees after the end of his playing career. I know part of it was the renegotiation of his playing contract into special services for Hal Steinbrenner, but A-Rod could have severed ties as he pursued his broadcast career with FOX and ESPN Sunday Night Baseball. Posada’s move makes me very thankful for Mariano Rivera, my favorite member of the Core Four. Rivera recently announced his intention to be a pitching consultant for the Yankees (teaching pitching in the organization in a to-be-determined role). 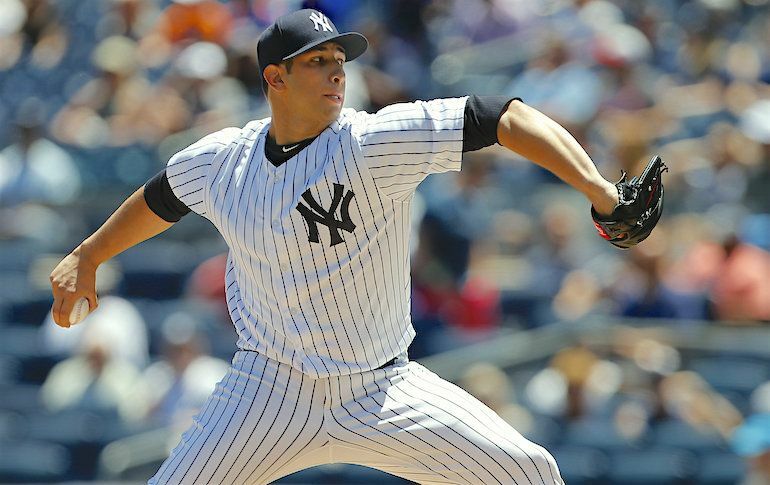 I’d really like to see the Yankees get Andy Pettitte back in the family. I’ve always thought he’d be a tremendous pitching coach and I’d love to see him transition back into pro coaching as an eventual successor for Larry Rothschild. We may have lost Jeter and Posada for now, but I don’t want to lose either Rivera or Pettitte. Eventually Don Mattingly will get fired. Not that I want him to lose his job, but when the inevitable parting of the ways occurs, I am hopeful that Mattingly can find his way home. Maybe not as a manager, but I look forward to the day when Donnie Baseball is a frequent visitor to Yankee Stadium again even if it is only for Spring Training and Old Timer’s Day. 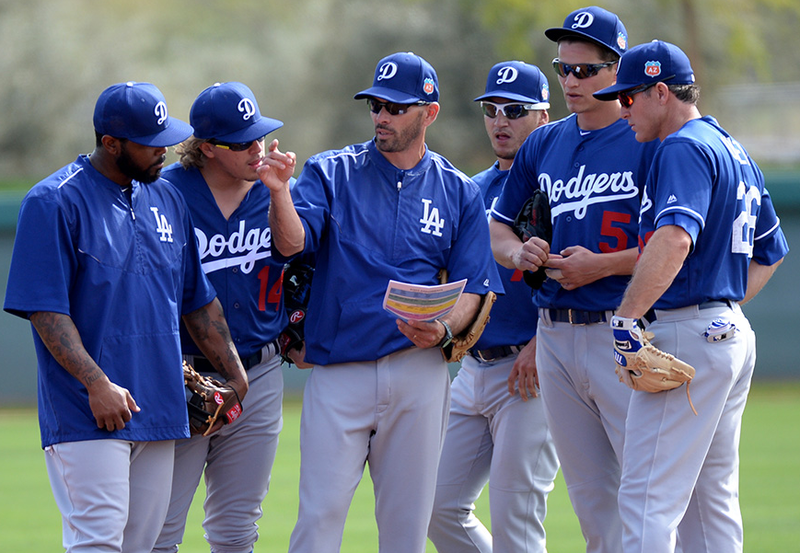 It’s exciting to see the images of Spring Training. I am glad we’re getting the band together again and look forward to the first exhibition game a week from Saturday in Fort Myers, FL against the hated Boston Red Sox. This is the year we take them down. AL East Championship, American League Championship, World Series Championship. The time is now. Let’s end Boston’s reign. 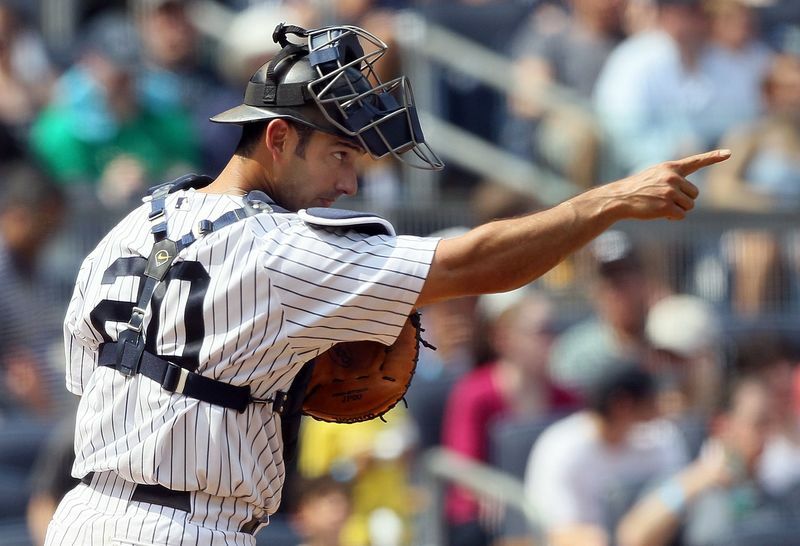 It’s Jorge Posada Day! 20 more days until the start of the regular season and the Yankees walking up to the plate at Rogers Centre in Toronto, Canada to begin their quest for the 28th World Series championship in franchise history. Hip, hip, Hor-hay! I have to admit I feel badly for third baseman Mike Moustakas. A career high 38 home runs and he gets less money this year than Todd Frazier. For his one year “pillow” contract with the Kansas City Royals, he’ll get $5.5 million with the opportunity to earn an additional $2.2 million in incentives. There is a mutual option for 2019 for $15 million which carries a $1 million buyout. Odds are that the Royals either trade Moose Tacos at the trading deadline or they exercise the buyout next off-season. I bet Moustakas does not make it through the season as a Royal. This shows how truly remarkable it was that GM Brian Cashman was able to get the San Diego Padres to absorb Chase Headley’s $13 million contract by simply attaching RHP Bryan Mitchell, who had no clear role with the Yankees. I don’t blame the Yankees for not playing in the Moose Tacos sweepstakes. Actually, it appears that no team wanted to play. I liked the idea of Moustakas taking aim at the right field porch in Yankee Stadium, but once the Yankees acquired Brandon Drury (a player I like) to pair with Miguel Andujar, I didn’t give it another thought. The Yankees were never going to offer Moustakas a long-term deal and it didn’t seem wise to forfeit the draft choices (2nd and 5th round picks) and the international bonus pool money for a short-term investment. Last year’s second round draft choice (RHP Matt Sauer) is currently the Yankees’ 12th best prospect according to MLB.com. Considering how strong the Yankees farm system currently is, that’s no small feat and there is good value with high draft selections. I don’t think draft choices alone would have been reason not to sign Moustakas, but all things considered, I feel comfortable with the players currently at third for the Pinstripers. The Yankees made their first cuts yesterday as the team begins paring down for the Opening Day roster. The first camp casualties were Justus Sheffield, Cale Coshow, Raynel Espinal, Trevor Lane, Chace Numata, and Dillon Tate. In light of the rough day that Sheffield had yesterday against the Philadelphia Phillies, I wish he could have departed under better circumstances. 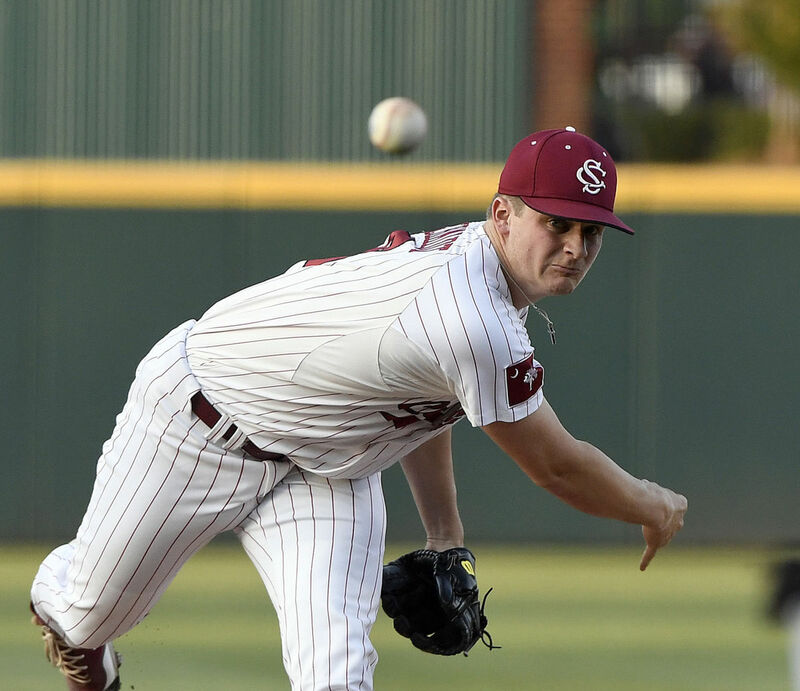 Top Sheff gave up three hits and runs in 1 2/3 innings to balloon his Spring ERA to 11.81. But it was a learning experience and there’s no doubt we’ll see Sheffield in the Bronx at some point later in the season. Better, faster, stronger and we won’t need to rebuild him. I am starting to see more and more writers and bloggers saying that Tyler Wade is the leader for the second base job. I’ve felt all Spring the Yankees would break camp with Wade as the starting second baseman. Without regard to the delay in service time, I felt (and still feel) that Gleyber Torres will benefit from further experience at Triple A as he continues his road back from Tommy John surgery on his non-throwing arm. The guy is so incredibly young although extraordinarily talented. He’ll make his Major League debut sooner than later in the 2018 season. Once he arrives, I have no doubt he’ll own second base for years to come. In the meantime, I look forward to the opportunity that awaits Tyler Wade. While I think Ronald Torreyes will make the Opening Day roster (with non-roster invitee Danny Espinosa opting out of his contract at the end of training camp), it would seem that he is an inevitable candidate for DFA at some point during the season. Once both Gleyber Torres and Miguel Andujar arrive at the Show to join Brandon Drury and Tyler Wade, there’s simply not going to be any room for Toe. He is the weakest of the group despite how valuable he’s been the last couple of years. 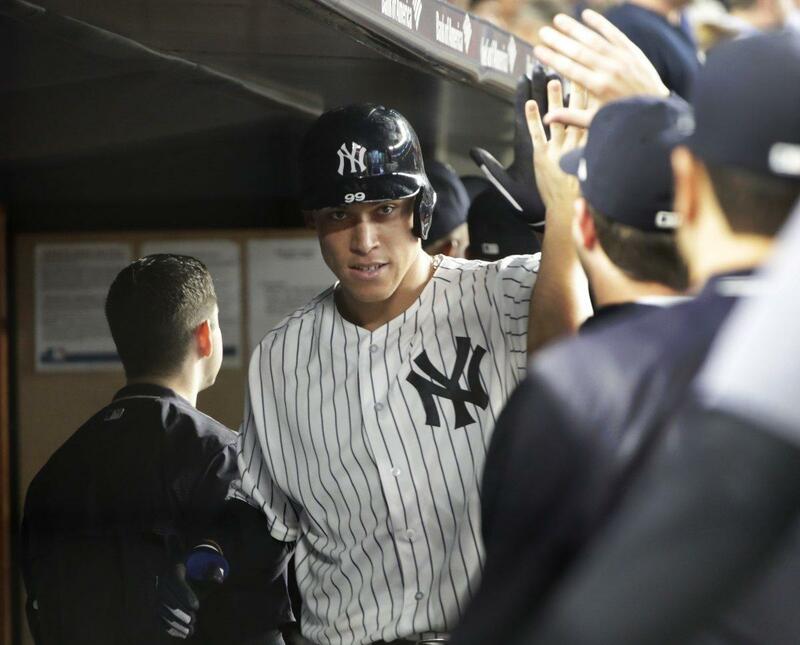 I am glad to hear that Aaron Judge has no current plans to participate with this year’s Home Run Derby.The Derby is fun for the fans but I’d prefer to see Judge focus on rest and relaxation regardless of whether or not he makes this year’s All-Star team. Too many are trying to speculate whether his participation last year was the direct cause for his second half slump. I don’t really care. It’s all water under the bridge now. Judge knows and understands his body better than anyone and I know that he’ll make the right decisions going forward. It was a learning experience. He has won the Derby and there is nothing left to prove. Winning a championship is all that matters. There’s no doubt Judge knows that better than any of us. Billy McKinney has proven the Yankees have nothing to fear if they include Clint Frazier in a trade for a starting pitcher. I’ve been very impressed with McKinney’s work with the bat and at first base this Spring. 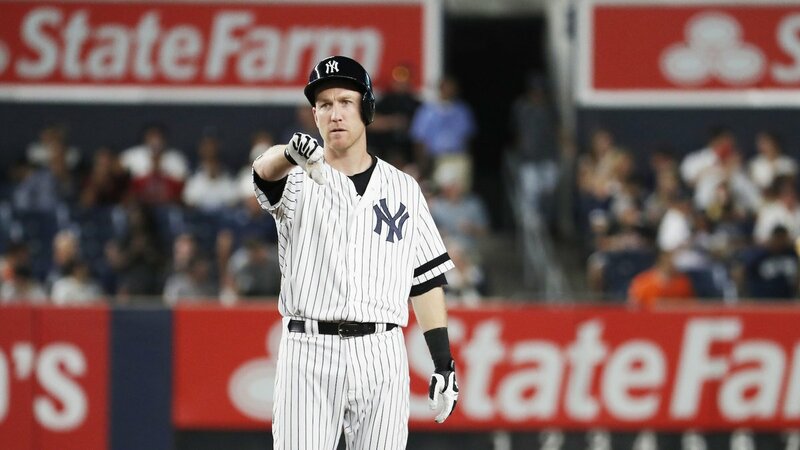 While I think it’s possible that Adam Lind could supplant Tyler Austin as the backup first baseman, McKinney, with more experience at first base, could replace both of them and is an heir-apparent for left field if the Yankees do not re-sign Brett Gardner next off-season and if Frazier is included in the inevitable deal for an upper echelon starting pitcher. McKinney could make his presence felt in the Bronx this year if, Heaven-forbid, injuries strike. We’re moving into the “dog days” of training camp. The point where the excitement of Spring baseball is over and the joy and anticipation of Opening Day is starting to seep in. I’m ready and anxious to see the latest Yankees take the field at Yankee Stadium (by way of Rogers Centre, of course). Brian Cashman, the general manager currently working on a handshake deal with Yankees Managing General Partner Hal Steinbrenner, was burning the weekend oil yesterday. 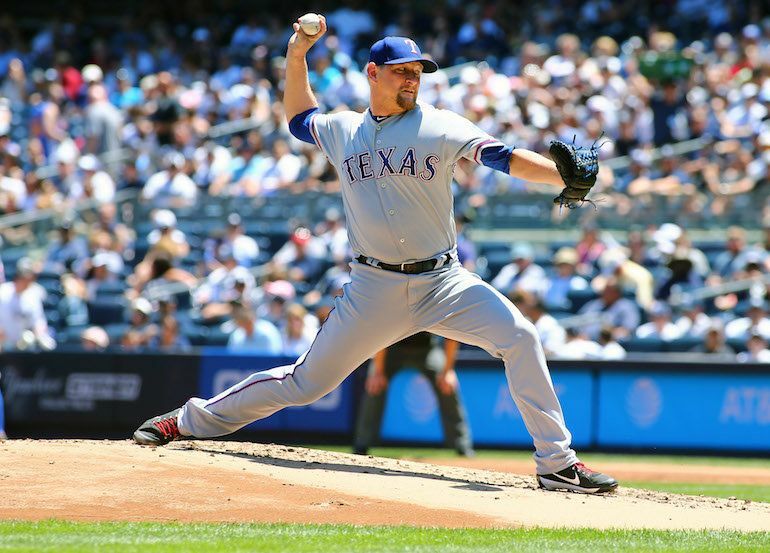 After interviewing Hensley Meulens and Aaron Boone over the previous two days, Los Angeles Dodgers third base coach Chris Woodward was in town to meet with Cash on Saturday. I don’t know Woodward and perhaps he may be a wonderful manager one day, but I don’t think he’s the right guy for the job right now. In his post-interview comments, he talked much about what Dave Roberts did. I am less concerned about what Roberts did and more concerned about what Woodward would do. I don’t want Dave Roberts 2.0. Roberts did an outstanding job, but the new Yankees manager needs to be his own man. I know that Roberts name came up because the questions were asked about how Woodward gained insight working with the man who led the Dodgers to the doorstep of a World Series championship this year. But I really want a manager who is strong and confident in his own words and style. I thought Aaron Boone did a better job addressing the media despite the lack of any coaching experience. It is well known the Yankees want a manager who will accept analytics and input from the front office. When Woodward was asked about analytics, he responded, “As a coach, it took the progression from Seattle to L.A. for me to understand the benefit of it.” That tells me he didn’t come to fully appreciate analytics until the last two years considering he joined the Dodgers on December 17, 2015. I feel strongly that Pedrique needs to be part of the 2018 coaching staff. He knows the young Baby Bombers better than anyone. There is no one that has the same level of relationships that he’s built with Aaron Judge, Gary Sanchez, Clint Frazier, Jordan Montgomery, Gleyber Torres, Greg Bird, Chance Adams and others. He is credited for believing in a smallish-16 year old Jose Altuve when no one else would. After many other teams, including the Yankees, passed on Altuve for being too small, Pedrique talked the Houston Astros into giving the 2017 AL MVP and World Series Champion $15,000 to sign. That might be the best $15,000 ever spent in Major League Baseball, at least in modern times. Pedrique was able to see beyond the physical size to view the talent and the heart of the player. I had to put Posada’s name on the list. I miss the guy’s passion and intensity. When he’s on the field, there’s probably not too many guys that want to win more. You may have different thoughts but that’s fine. No one said that we had to agree. No word if the Yankees will continue to interview more guys before moving on to Round 2. I had expected Jerry Hairston, Jr to talk but there have not been any indications he will. Brad Ausmus has made it known that he wants to take a year off before resuming his managerial career. He was interested in the Red Sox job only because it was close to his home in Cape Cod and he grew up as a Red Sox fan. Aside from the Red Sox, Ausmus wants to devote the next year to his family. You can’t blame him for his priorities. I thought maybe the Yankees should interview Pittsburgh Pirates coach Joey Cora so that the Red Sox-Yankees Wars could be the Battle of the Cora Brothers. Okay, I am just kidding on that one. 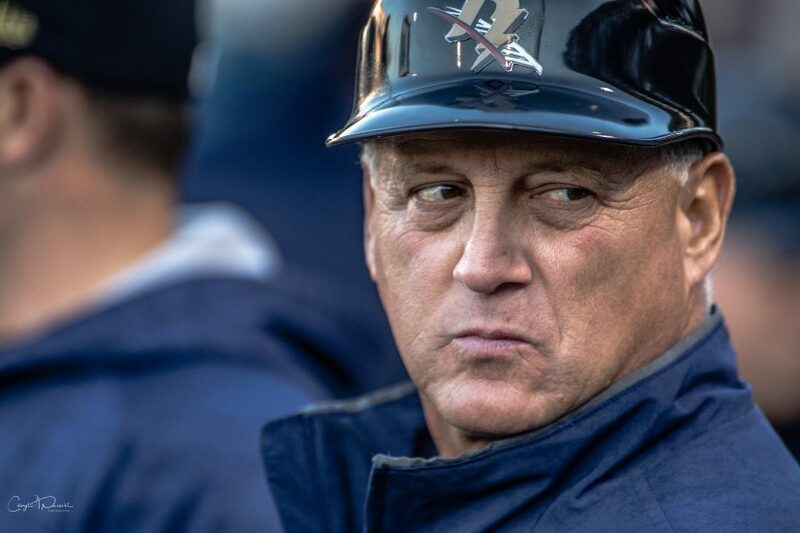 For the reasons I cite Pedrique as the preferred bench coach, I believe he should be afforded the opportunity to interview for the managing job. We’ll see. The process continues and should gain better clarity over the next days and weeks as we move forward. Monday, November 20th is a big day for the Yankees. The 40-man roster of record for Rule 5 eligibility must be set by 7 pm Central Time. The Yankees had previously moved outfielder Jake Cave and reliever Nick Rumbelow to the 40-man roster, which left two spots open. With big names like Gleyber Torres, Albert Abreu and Billy McKinney, among others, that need to be protected, something has to give on the 40-man roster. On Saturday, the first move was made when the Yankees sent Rumbelow to the Seattle Mariners for two lower level prospects…LHP J.P. Sears and RHP Juan Then. Sears, 21, was an 11th round selection in the 2017 MLB Draft. Then, 17, was an international signing for $77,500 in 2016 out of the Dominican Republic. 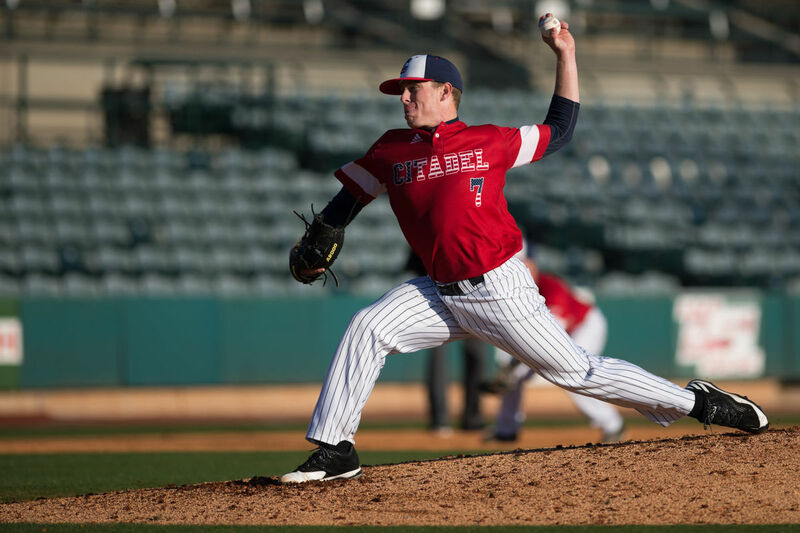 John Patrick Sears pitched at Class A level after his draft selection last year. 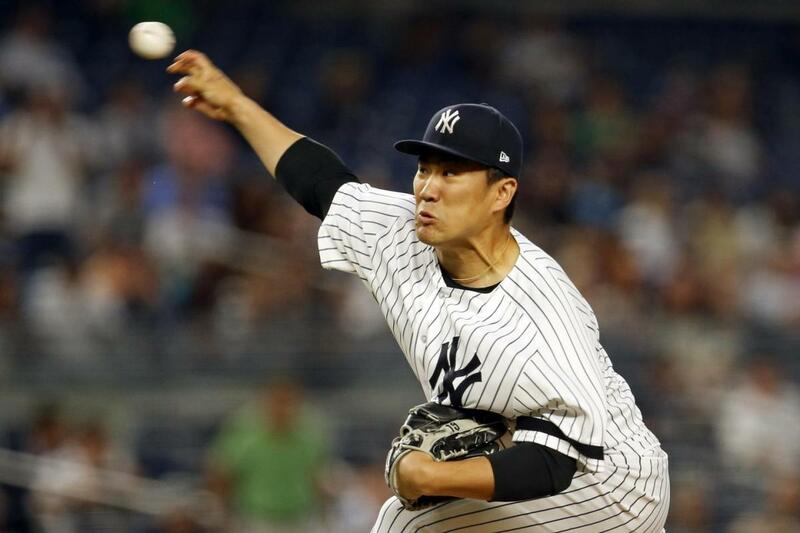 A reliever, he pitched a total of 27.2 innings for two teams. In 17 games, he struck out 51 batters while walking only 12. His ERA was a combined 0.65, but he did not give up any earned runs when he moved from Short Season-A Everett to Full Season-A Clinton (10 innings of work). 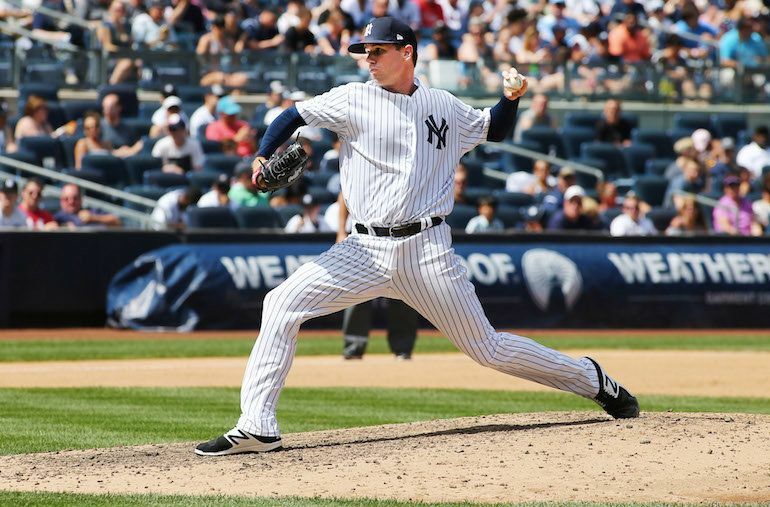 He is “Sonny Gray-sized”…alright, an inch taller (5’11”). According to Baseball America, he works in the 88-92 mph range with a high spin fastball and uses deception from a low delivery slot. Juan Then (man, did the ‘now and then’ jokes start popping up on Twitter) is obviously still very young (and raw). He carries high upside and projects as a mid-rotation starter. 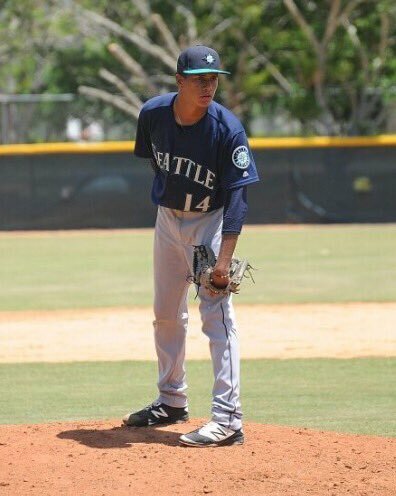 Then pitched rookie level ball in the Dominican Summer League and was 2-2, 2.64 ERA in 61.1 innings. He struck out 56 batters. His fastball sat in the 90-92 mph range, and he also worked with a couple of offspeed pitches. It’s tough to see a Major League-ready arm depart for future hopefuls, but it is the price that must be paid when you own one of the best farm systems in baseball. The Yankees will lose quality talent through Rule 5 but moves like this help protect more players. Last year was tough when the Yankees lost young catching prospect Luis Torrens who stuck on the San Diego Padres’ roster all season. I expect this year to be no different. For Rumbelow, he’s 26 and will have a much clearer shot at making a 2018 opening day roster with an opportunity to join the Mariners bullpen already stocked with former Yankees David Phelps and James Pazos. I wonder if Brian Cashman is working today. Stupid question, I know he is. Go Yankees! Jacoby Ellsbury led off for the Yankees with a single up the middle. Aaron Judge’s single to center, a fly that dropped in, advanced Ellsbury to third. Gary Sanchez doubled to the left field corner with a hard line drive that scored Ellsbury. Judge moved to third. Matt Holliday recorded the first out on a grounder to third, but Judge, running on contact, scored easily. 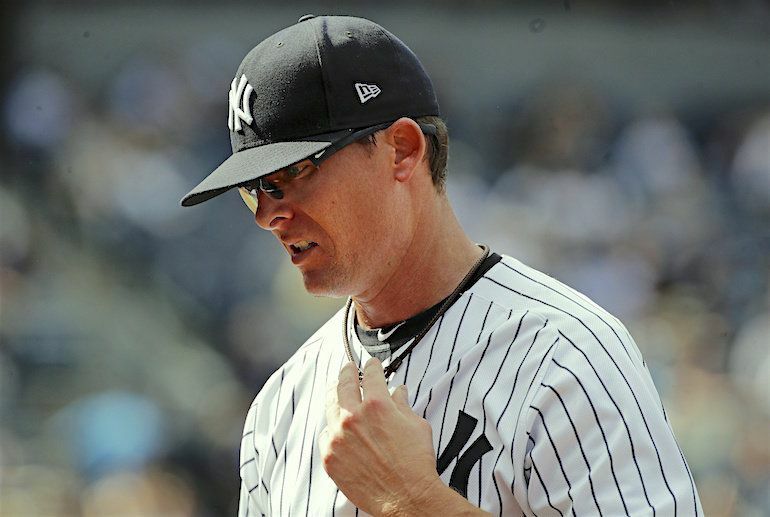 The hits kept coming as Chase Headley singled to right over the second baseman’s glove, scoring Sanchez. Didi Gregorius lined a single to right, Headley moved to second. 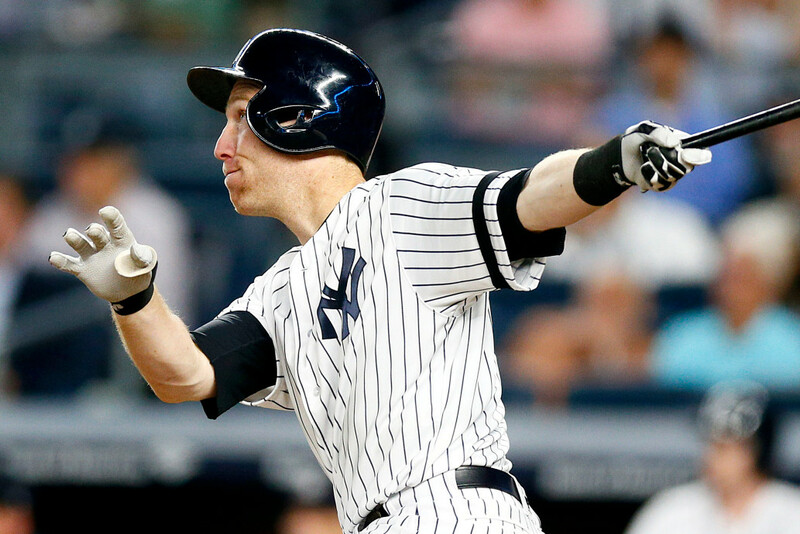 Todd Frazier made it a 6-0 game with his blast into Monument Park. End of the night for Miley after giving up six runs while getting only one out. Mike Wright came in for long relief. Despite a two-out walk to Clint Frazier, Wright was able to get the O’s out of the inning without any further damage. The Yankees quickly answered the call. In the bottom of the 4th, Clint Frazier reached on a single to center and Jacoby Ellsbury walked. Aaron Judge stepped to the plate and drew the ‘It is high, it is far, it is gone!’ call from John Sterling with his shot to right center. 9-1, Yankees. Trey Mancini homered in the top of the 6th with one out and no runners on, a fly into the second deck of right field. But like the 4th inning, the Yankees responded. Clint Frazier led off the bottom of the 6th with a double bouncing off the center field wall and Jacoby Ellsbury took another walk. Aaron Judge stepped up again. While he was batting, I was thinking that his last homer was nice but it wasn’t crushed like we know that Judge can do. Boom! He made up it for it with a monster blast to the second deck in left to make it a 12-2 game. 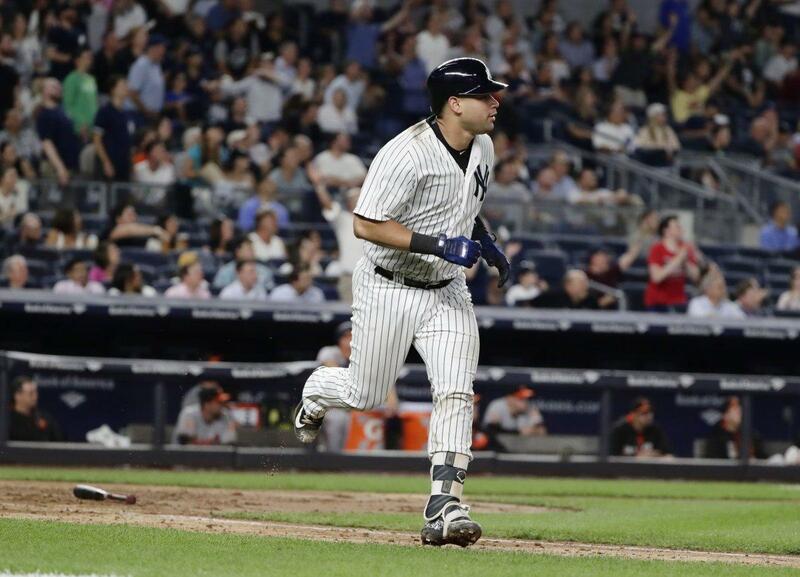 While we were still enjoying the thought of Judge’s 43rd homer, Gary Sanchez followed with a home run to center (another ball landing in Monument Park). It was his 31st homer of the year, setting a new mark for Yankees catchers, breaking a tie with Jorge Posada and Yogi Berra. I’ve always liked Bryan Mitchell, but this hasn’t been a great year for him. Trey Mancini led off the 8th with a single to right on a line drive. Mitchell was able to retire the next two batters on ground outs but Joey Rickard’s double to the left field wall scored Mancini. Caleb Joseph followed with a double to the right field wall between the outfielders, scoring Rickard. Mitchell was finally able to get out of the inning when he got Tim Beckham to ground out. Giovanny Gallegos took over for Mitchell in the top of the 9th inning. Chance Sisco came to bat again after getting his first MLB hit two innings earlier and accomplished another first when he homered to the right field porch leading off. 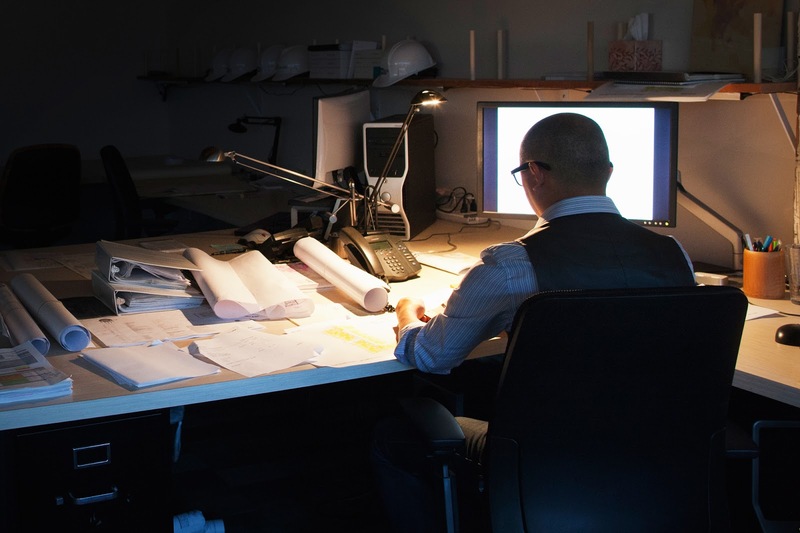 I suspect that we’ll be seeing more…much more…from Sisco in the future. The next batter, Anthony Santander, hit a high fly to right that looked like it had a chance for a back-to-back HR but it sailed just to the right of the foul pole. Gallegos subsequently got Santander to strike out. He retired the next two batters (great catch of a line drive by Ronald Torreyes at second to end the game), and the Yankees had the win. The Boston Red Sox defeated the Oakland A’s, 6-2, to maintain their three game lead over the Yankees (80-66). 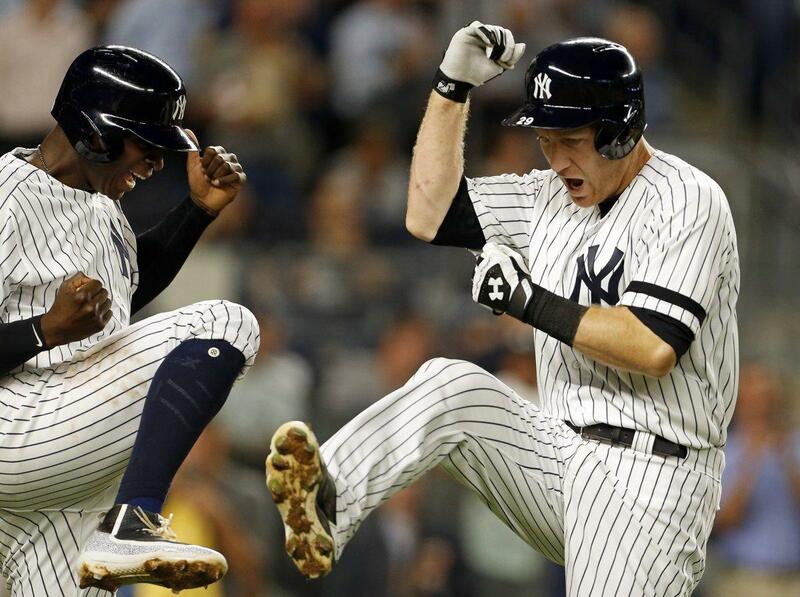 The Yankees remained three games up in the Wild Card Standings. The second-place WC team, the Minnesota Twins, beat the Toronto Blue Jays, 3-2, in extra innings. Luis Severino (12-6, 2.96 ERA) takes the hill for the Yankees tonight. He’ll be opposed by Gabriel Ynoa (1-1, 4.19). Hopefully, the Yankees win and continue to put pressure on the Red Sox. The Scranton/Wilkes-Barre RailRiders lost Game 3 of the Governor’s Cup Finals to the Durham Bulls, 6-2. Chance Adams took the loss. The Bulls lead the series, 2 games to 1, and can take the championship with a win tonight at PNC Field in Moosic, PA. Brady Lail will draw the start and attempt to even the series. Have a great Friday! 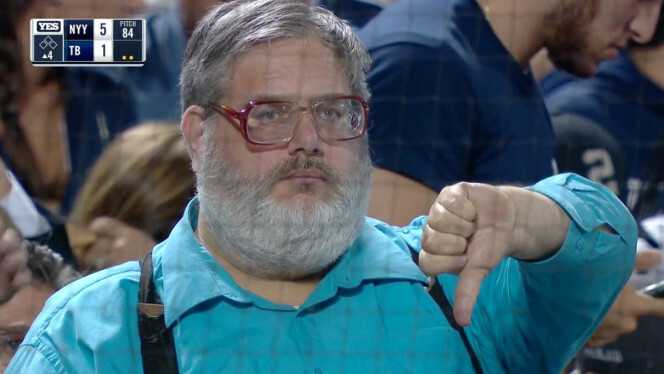 Let’s have another thumbs-down performance! Go Yankees!